Dave Van Rite Construction, LLC, announces the addition of premier landscape design and installation services featuring landscape specialist Roxy Kallatsa to the company’s Creative Decks & Landscaping division. Kallatsa specializes in naturalistic and ecological approaches to landscape design in northeast Wisconsin and Upper Michigan. A new section within the Dave Van Rite Construction website details Kallatsa’s landscape design philosophy and service offerings. It can be found at http://creativedecksandlandscaping.com. The parent website also includes a section for the company’s other division, Basements by Design http://basements-design.com. Kallatsa’s specialty at Creative Decks & Landscaping is on landscape designs inspired by nature. This includes designs that emphasize the European style, naturalistic gardens, therapy gardens, sensory gardens, and an overall ecological approach to the property. Kallatsa and the Creative Decks & Landscaping team also offer project management, 3-D design services, maintenance of plantings and beds, along with standard landscape design and install services. 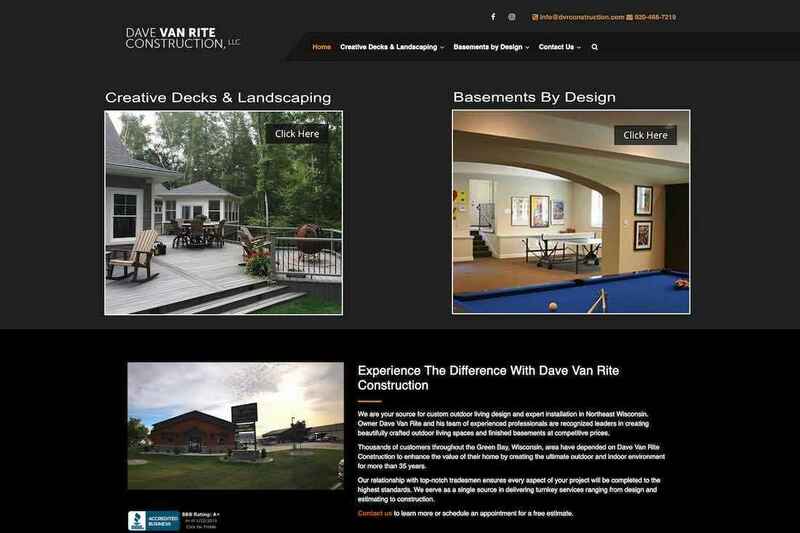 Dave Van Rite Construction, LLC, includes two divisions focused on providing high-quality design, construction and landscape install services for homeowners and commercial clients: Creative Decks & Landscaping, and Basements by Design. The company is based in Green Bay, Wisconsin, and serves customers throughout northeast Wisconsin and into Upper Michigan. For more information or to schedule an appointment for a free estimate, call 920-494-4517 or visit https://www.dvrconstruction.com/. View original post on Creative Decks & Landscaping here.